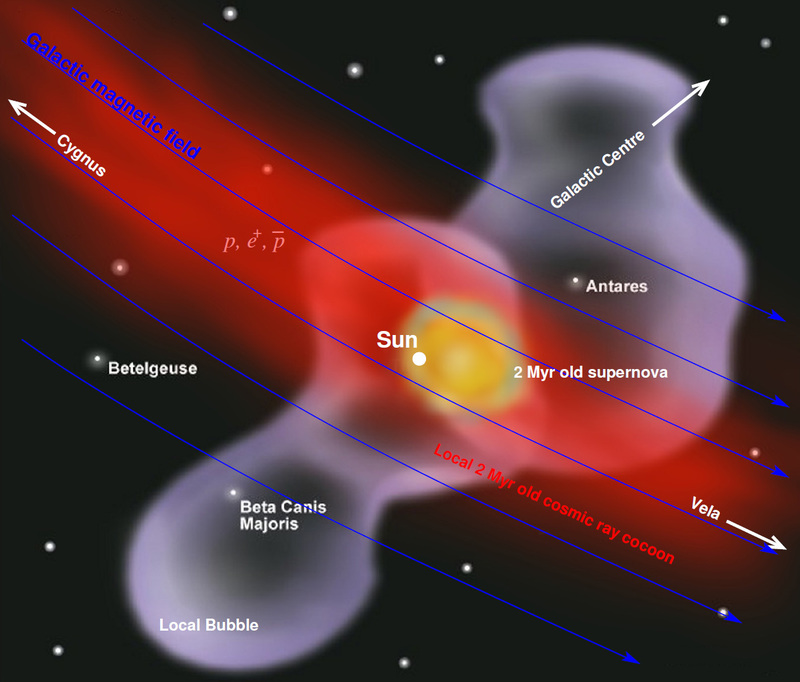 We are looking into the very deep of the stars resulting from supernova explosions. Through our work, we have found a new way of understanding the interaction between quarks – the atoms’ smallest building blocks. Atoms are the building blocks of matter. They consist of a nucleus with electrons moving around. The nucleus is built out of neutrons and protons (nucleons), which again are built out of quarks, see Figure 1. Quarks can have three different color charges (analogous to electric charge), red, green, and blue. Figure 1. Building blocks of atoms. When a giant star explodes, its core collapses. The protons and electrons essentially melt into each other, and a neutron star consisting mainly of nucleons is formed. Nucleons are extremely densely packed: A neutron star has a mass of 1-2 solar masses and a radius of only about 10km. Or put differently, if a cricket ball were made of neutron star material it would weigh about 40 times the estimated weight of the entire human population. Normally, quarks are bound in nucleons. However, when nucleons are squeezed hard enough together, the individual nuclei lose their identity, and the quarks move freely around. This is called quark matter. As a result of the total collapse the neutron star has undergone, quark matter can possibly be found deep inside them. The properties of neutron stars depend heavily on whether quark matter is present in the core of the star or not. The quarks and their interactions are described by a theory called Quantum Chromodynamics (QCD). In practice, a direct application of QCD to calculate the properties of three-color quark matter is technically not yet feasible. Hence one must resort to models to simplify the problem. It turns out that we can use QCD directly to calculate the properties of quark matter, if we imagine a world where quarks only come in two colors. This technique is a numerical method and is called lattice simulations. In a world of two-color QCD, we can compare quark-matter properties from lattice simulations with those from model calculations. In our recent paper (lenke) we have done exactly this. 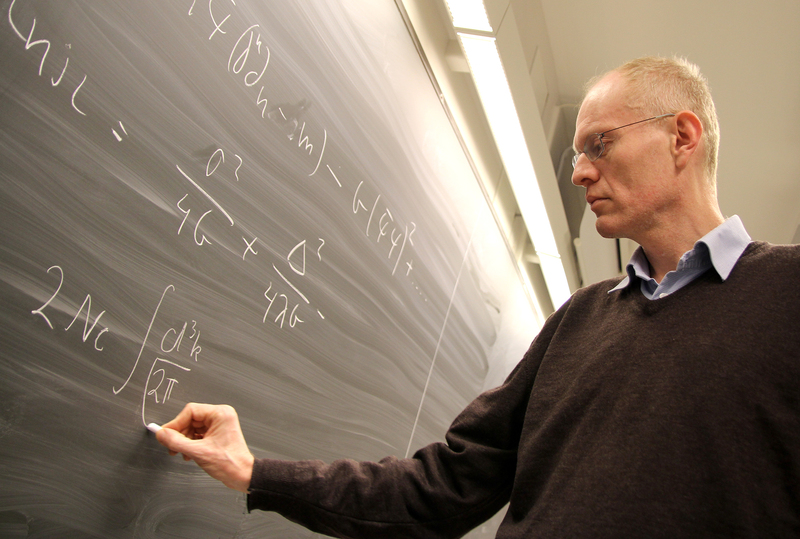 Generally, we obtain good agreement between the lattice results and our results. Figure 2 shows one of the properties that we have calculated, namely the so-called Polyakov loop. This is a measure of how free the quarks are. Depending on the temperature, the Polyakov loop varies between zero for bound quarks and one for completely free quarks. The blue crosses are the data points from lattice simulations and the red curve shows the result from the model calculations, with uncertainty (yellow). It is straightforward to translate our model from two colors to three colors, and therefore we believe that our results ultimately will give us additional insight into quark matter in the real world and perhaps increase our understanding of neutron stars. Figure 2. Polyakov loop as a function of the temperature from lattice simuations (blue crosses) and model calculation (red curve) with uncertainty band (yellow). 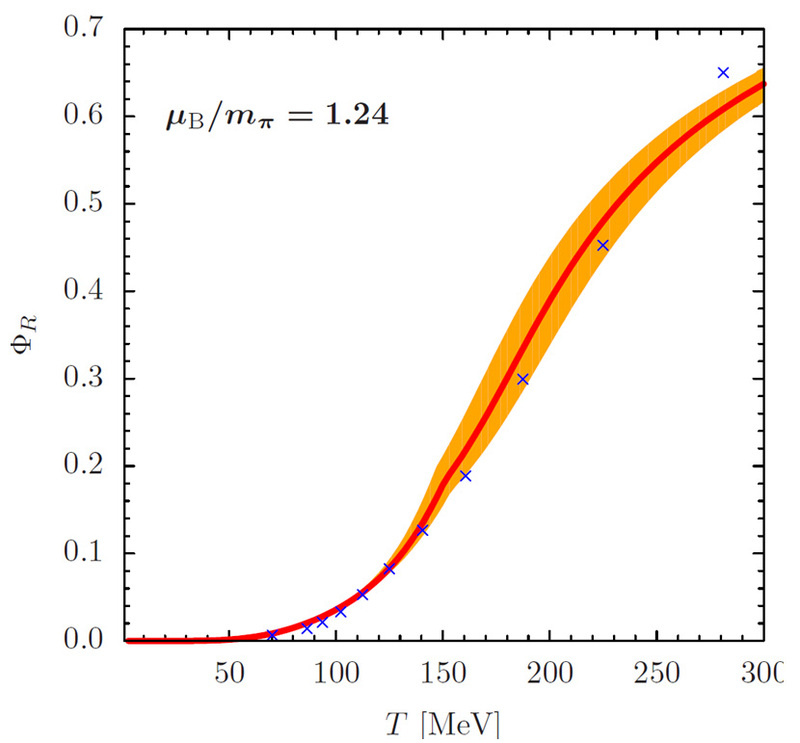 Our work is published in Physical Review D: Confronting effective models for deconfinement in dense quark matter with lattice data Authors: Jens O. Andersen (NTNU), Tomáš Brauner (UiS), and William R. Naylor (NTNU). Data from satellites searching for high-energy cosmic particles from space show several puzzling phenomena. This leads us to believe that the Earth is still being affected by a supernova explosion happening two million years ago. Our Milky Way might be a dangerous place to live because of supernova explosions which happen somewhere in the Galaxy approximately every century. The blast wave of such an explosion would strongly damage life, possibly leading to a mass extinction on habitable planets within a distance of ten light years. High-energy particles from a further, hundred(s) of light-years away supernova would still produce a noticeable (beneficial or harmful) effect on the biosphere. This illustration of the region surrounding our Solar System shows the estimated location of the two-million-year-old supernova, lying close to the galactic magnetic field, that may have been the source for some high-energy cosmic rays observed today. In our recent article “Signatures of a two million year old supernova in the spectra of cosmic ray protons, antiprotons and positrons” we put forward the claim that such an event happened to the Earth around two million years ago. We find several signatures of this event in the properties of high-energy particles filling the interstellar medium around the Solar system and reaching the Earth in the form of cosmic rays. The local supernova explosion has produced an expanding cocoon of cosmic rays and the Earth happens to be situated inside. We believe that it is the presence of this local cosmic ray cocoon that explains several peculiarities found in the flux of cosmic ray protons and also of antiparticles, such as positrons and antiprotons. In particular, we have showed that the large flux of high-energy positrons and antiprotons observed e.g. in the satellite experiment PAMELA and the AMS-02 experiment on board of the International Space Station can be naturally explained by a two million year old local supernova. Complementary evidence for a recent nearby supernova explosion is contained in the deep ocean crust of the Earth: A previously found anomalous high amount of rare iron isotopes in a two million year old layer of the ocean crust might be a remaining of ejecta from the very same supernova producing the puzzling features we observe in cosmic rays.